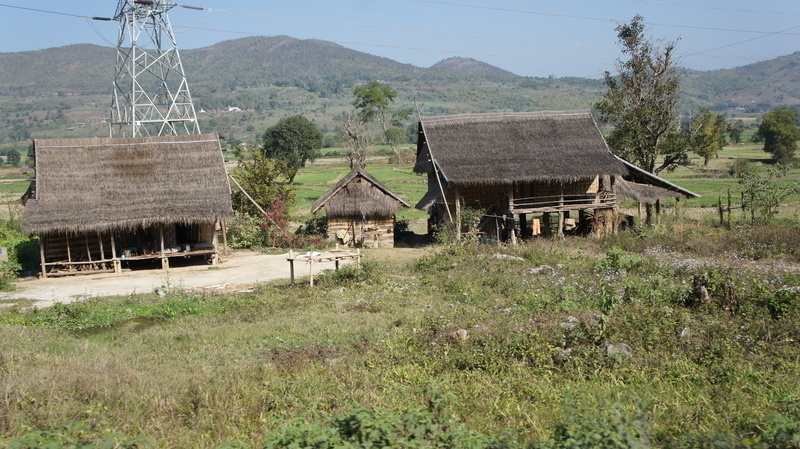 Shan State lies in the west of Burma. It is a land troubled by war, conflict, persecution, poverty and the trafficking of children. With civil war ongoing, many children have been left orphaned and abandoned with no means of support so we established homes to provide love, care and a family for needy children. The Stand by Me family currently live in inadequate rented accommodation. The home has been full for quite some time so we have had to transfer needy children from Shan State to our children’s village in Yangon over 800 miles away. This is not ideal as their languages are not the same and it is difficult to adapt to local customs. 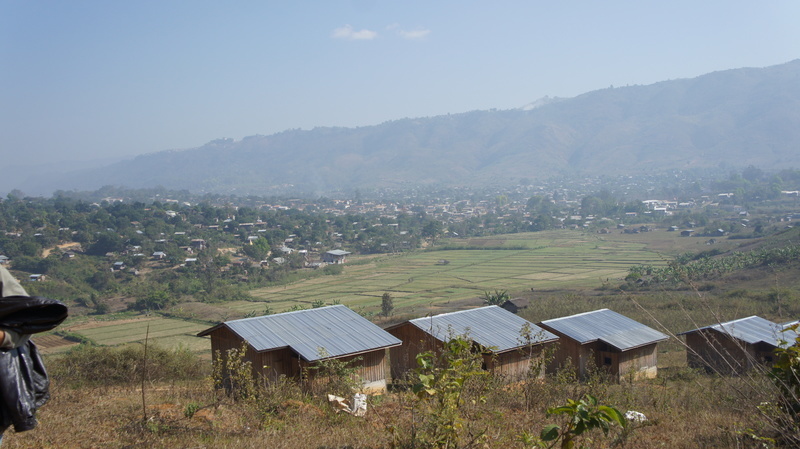 We want to give our children the best care we can and believe it is now time to build a children’s village in Shan State caring for approximately 30 children. New homes will improve facilities and the quality of care so that our kids can grow up healthily and with dignity. Life for our children will be much easier and secure once they have a home of their own. Our children will be able to live among their friends, enjoying their own culture and language. It will bring significant changes to the everyday life of the children, giving them confidence, security and a greater sense of self worth. Please join with us to give the children of Shan State the home they deserve. This will provide brick and concrete to build one wall for the homes. Last year, James, our director in Shan State, moved with his wife and young baby Daniel from his home in the Chin Hills to Shan State and the basic bamboo house on the land Stand by Me were applying to build the children’s village. This was a big move for the young family and a challenge to settle into a new area with a different culture and new neighbours who were wary of them. In March James and Esther were able to reach out to local children by running a summer school providing a free daily lunch, English lessons and games. Then in May, to our delight, we received the long awaited and fantastic news that we had been granted the permit to begin building the main structure of the homes on site. We were eager to begin and building work commenced on the 21st May to build two children’s homes. Thank you for your generous support to this project to bring care and love to children living in severe poverty in Shan State. Thank you for your generosity and compassion. Since purchasing the land in Shan State work has begun to build a children’s village and is progressing well - all thanks to your support! We have appointed a director named James Thang to oversee the building work and assess the needs of Ayetharyar in Taunggyi. An artesian well now supplies water to the site, essential to ensure the health of our kids and sustainability of the children’s village. In addition to a well, two small storehouses have been built, one housing a generator to give the site access to electricity and one that will be used for other resources. Every day, 10 workers continue the construction of a boundary wall that will provide security around the campus. When the wall is completed the building of the children’s homes is scheduled to commence in November. James, our Shan State director, has seen the great need to rescue and care for vulnerable children. The majority of local people do not have access to clean drinking water which puts their health at risk. Living in extreme poverty and having no access to healthcare exacerbates the desperate conditions of families in Shan. Stand by Me hopes that our children’s village will be a centre from which we can meet the needs of vulnerable children as well as extend our care to those in the local community. Thank you for helping us bring love to kids in need and an opportunity for a brighter future. We want to give our children the best care we can. So we are building a Shan State Children’s Village. This May, after many prayers and multiple challenges, David Mang Sum, our director in southern Burma sent us wonderful news that we were able to purchase a plot of land in Shan where we will build the children’s village. The day after the land was purchased David Mang Sum and a group of our children gathered in the fields and held a dedication service for the land. The next step will be to start building. A new home will improve facilities and the quality of care so that our kids can grow up with dignity, living with their friends and enjoying their own culture and language. Thank you for your generous support. You will help make everyday life easier for our children, giving them confidence, security and a greater sense of self worth.